ISACO are a specialist in ISA and SIPP investment and together with our clients have an estimated £75 million actively invested1. Our flagship service is called ‘Shadow Investment.’ ‘Shadow Investment’ is a unique service which gives you the opportunity to look over our shoulder and buy the same funds that we personally own, effectively piggybacking on our expertise. The key difference with our service is that we put our money where our mouth is. And as an ISACO premium client, you’ll have the opportunity to mirror our ‘market–beating2’ investment portfolio throughout the year. 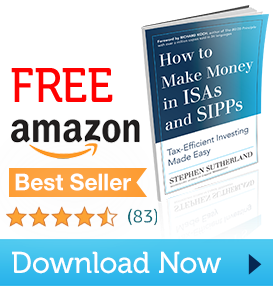 This gives you the potential for achieving almost identical returns to the ones we make. Past performance is not a guide to future performance. Offers the potential for superior ‘tax free’ growth (6-8% annual aims). 2 January1st 1998 - December 31st 2018 ISACO 163.3%, FTSE 100 30.7%.